Cinemablographer: Cellar Door Film Festival Co-Presents 'Beetlejuice' with Centretown Movies! Cellar Door Film Festival Co-Presents 'Beetlejuice' with Centretown Movies! Do you like movies in the park? Do you like things that go bump in the night? Then you’re in luck! The Cellar Door Film Festival (CDFF) co-presents the upcoming screening of Beetlejuice this weekend at the Centretown Movies Outdoor Film Festival. CDFF invites Ottawans to grab their lawn chairs and blankets and join them for Tim Burton's strange and unusual 1988 classic starring Alec Baldwin, Geena Davis, Winona Ryder and Michael Keaton. Beetlejuice screens in Dundonald Park on Saturday, August 2nd at approximately 9:00 PM. Admission is pay what you can. Hope to see you there! Synopsis: Adam (Alec Baldwin) and Barbara (Geena Davis) are a normal couple...who happen to be dead. They have given their precious time to decorate the house and make it their own, but unfortunately a family is moving in, and not quietly. Adam and Barbara try to scare them out, but ends up becoming the main attraction to the money making family. 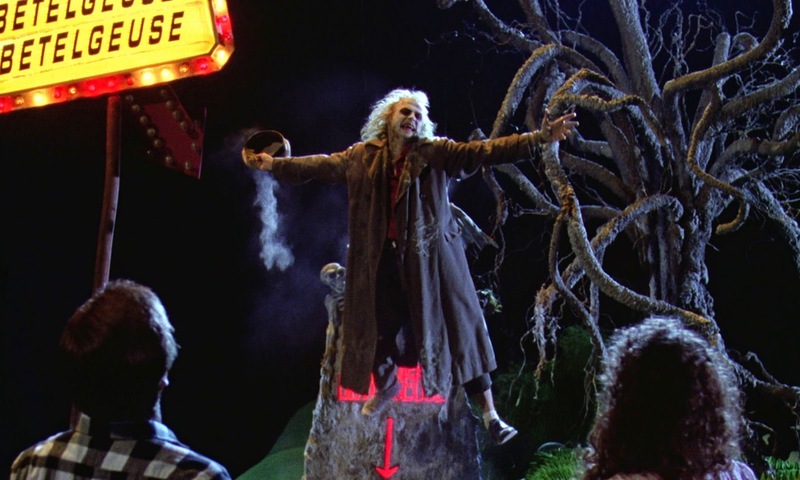 They call upon Beetlejuice (Michael Keaton) to help, but Beetlejuice has more in mind than just helping.